So before another winter drew in (which makes us sound like the Ingalls in Little House on the Prairie right?) we had to do something about heating. 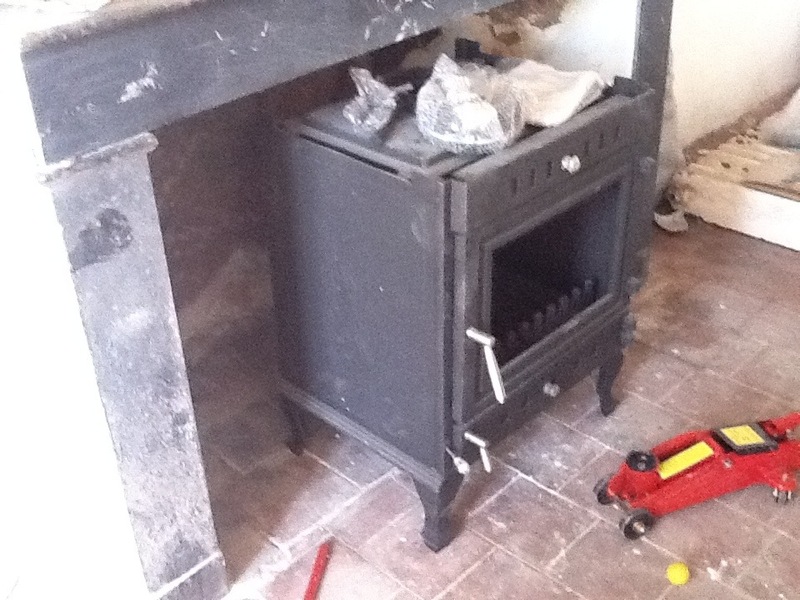 we bought a large wood burning stove (some very long convoluted way I seem to remember probably involving ebay) and had it delivered to south west france. The one thing I do remember is that it weighed a tonne. And having gone to all the trouble of getting it from somewhere in the middle of england via ebay and then having it driven the fourteen hours to Gensac which by our standards is a major investment (had it not been so heavy Peter would probably have made the kids pull it down on the back of their bikes!) Parking up. Getting a complex array of ramps, jemmies and towels to soften its landing across the gravel driveway, and with some help from puffing and panting frenchmen. Using a hydrolic jack, peter managed to get it up a ramp, up the front door steps. Then, in slow motion, we saw him stumble, the stove wobbled, he stumbled some more and the brand new, most expensive thing we’d invested in, stove crashed onto the gravel driveway. And the glass window made of special fire resitant glass which comes at vast expense smashed. Into many pieces. I might have shouted MORON at this point in my typical empathetic manner. Peter looked crushed. And we were still freezing. But, long story short. We ordered another piece of glass and fixed it. Dozens of cast iron radiators were bought on eBay and driven over to France. Two at a time so as not to ruin the back axel (technical term right) and Peter installed them all. If you want to know how this wood burner pumps powers all these radiators – don’t ask me! Check out husbands blog www.gensachouse.co.uk it talks about water being pumped etc. pressure etc. blah blah. All I know is that the downstairs of the house was toasty for the first time in its lifetime. 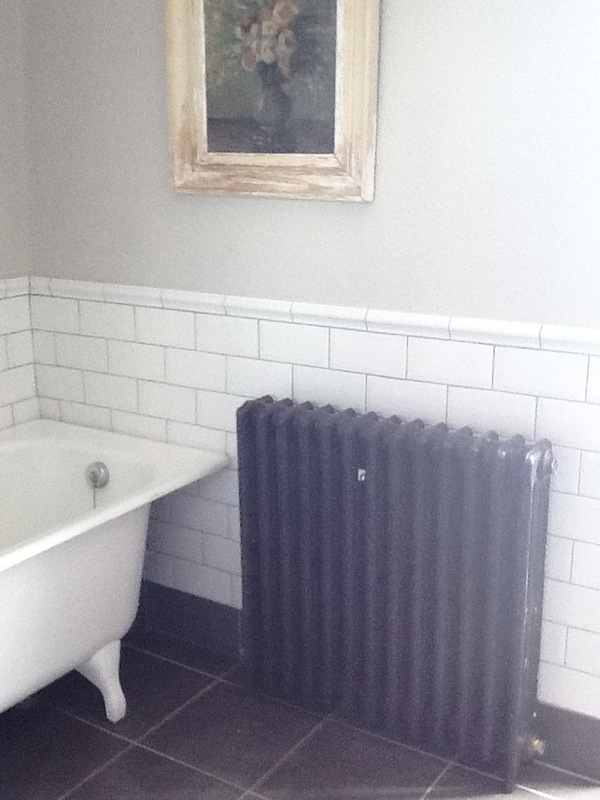 This entry was posted in Uncategorized and tagged cast iron radiator, central heating france, wood burning stove, wood powered heating by vicawhite. Bookmark the permalink.